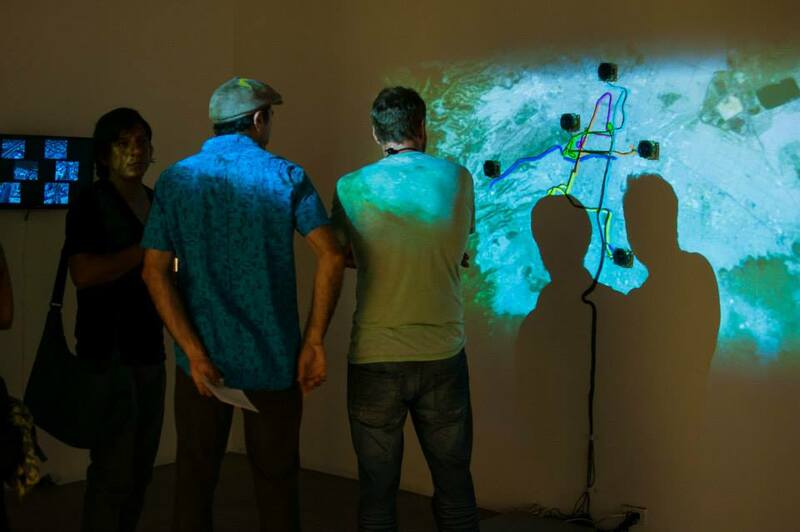 Curated, produced and installed Ephemeral Objects, a cutting edge exhibition of creativity at the intersection of art, technology and innovation, featuring the work of 34 artists active in the Southern California and Baja Norte region. “Ephemeral Objects” was San Diego’s first survey exhibit of new and established artists exploring this exciting new frontier of contemporary art. Sometimes referred to as “post-material art”, the exhibit is composed of that de-emphasize the material art object: software and algorithmic art, sound art, video art, real time and dynamic data visualization, social sculpture, and time-based art. The exhibit was organized by SDAI’s Curator-in-Residence Andrew Horwitz as an extension of his blog “Ephemeral Objects: Art Criticism for the Post-Material World” for which he was awarded a prestigious Warhol Foundation Arts Writers Grant in 2014.